Naomi prestashop template is well suitable for Education related online stores i.e. 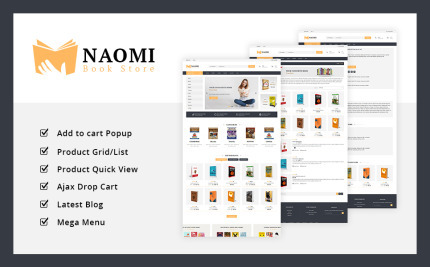 Book Store, Stationary stores etc, Using this template you can create your book store within few click and few configurations. This template developed using latest eCommerce trends and features, template zip includes template installation and configuration documentation, If you have any query relating to this template you can contact us any time, We are available 24*7.